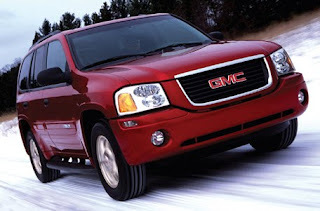 The GMC Envoy is an SUV from the GMC marque of General Motors. It was introduced as a luxury version of the Jimmy for the 1998 model year, the same year the Jimmy was restyled. 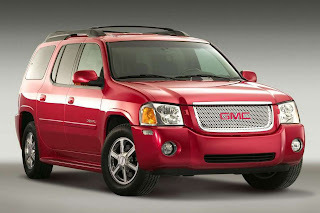 After a short hiatus during the time of which the Jimmy was phased out, the GMC Envoy reappeared in the GMC line of vehicles from 2002 through 2009 as a standalone model, until GM replaced it with the GMC Terrain. 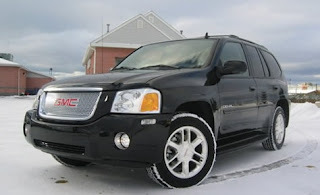 In 2005, a Denali luxury version of the GMC Envoy became available. Both the standard-length wheelbase GMC Envoy as well as the GMC Envoy XL were available with the Denali trim option. 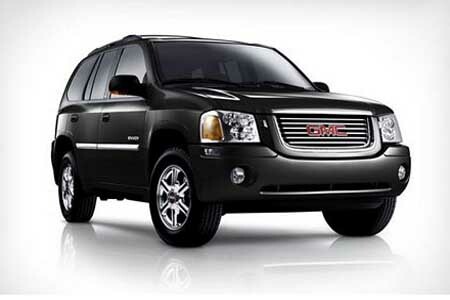 The GMC Envoy Denali features the hallmark bullet pattern grille and an upgraded interior with luxury car-like features such as heated power seats, extensive woodgrain trim, and rain-sensing windshield wipers. It also featured the GM Vortec 5.3 liter V8 engine with "Displacement on Demand," shutting off four of the eight cylinders when workload was minimal. Prices for the GMC Envoy Denali ranged from US$37,145 to $42,750; prices for the GMC Envoy XL Denali ranged from $38,575 to $43,895. Across the range, seating was restyled in hopes to increase comfort and quality of control of driving position. Additionally, a touch DVD navigation system was offered as an option. The option of side airbags evolved from previously just front-seat side curtain airbags to full-length side curtain airbags, covering both rows of seats (in the XL model, all three rows). GMC Envoy XUV sales, projected at 30,000 per year (approximately a third of Envoy production), were much slower with just over 12,000 sold in 2004. GM discontinued XUV production on March 15, 2005, and, along with the GMC Envoy XL, was replaced by the GMC Acadia two years later.